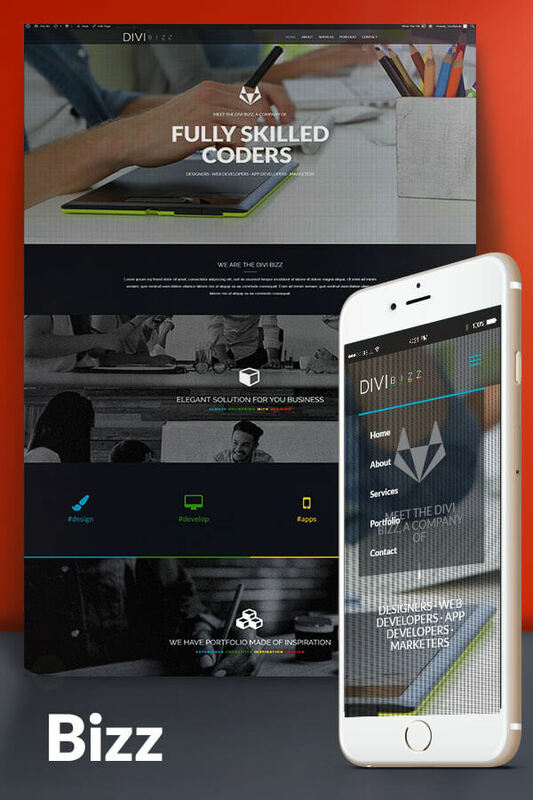 Divi Bizz is a premium creative business child theme created for all persons/businesses that needs to highlight their creativity on visual level as well to highlight their projects and portfolio. That may include web based creative niches as well as architect or designers office, or any other business that needs dynamic and creative visual representation. This theme is created with the best coding and design practices in mind, so the theme is fully responsive, with good navigation and focus on details & important information. 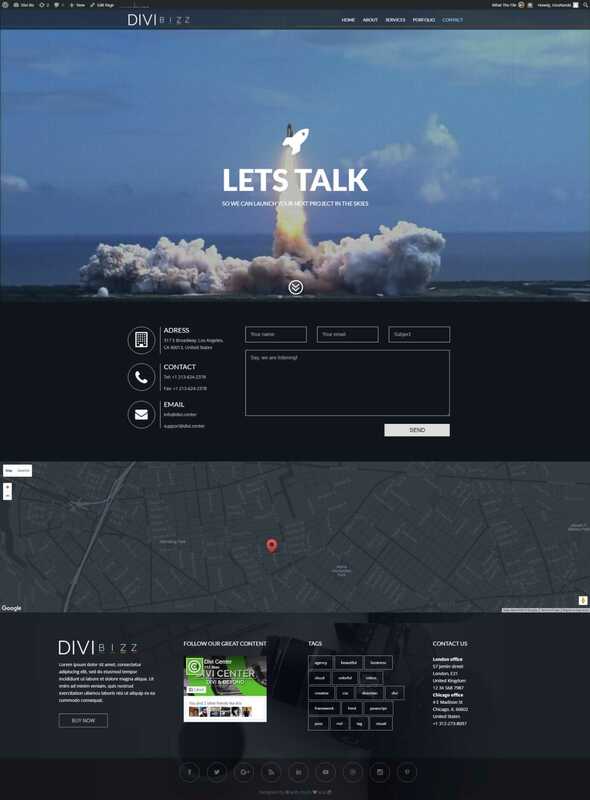 Divi Bizz brings a lot of highly customized modules and integrated features so that you can offer your visitors completely new and unique experience, enhancing your creative exposure along the way. 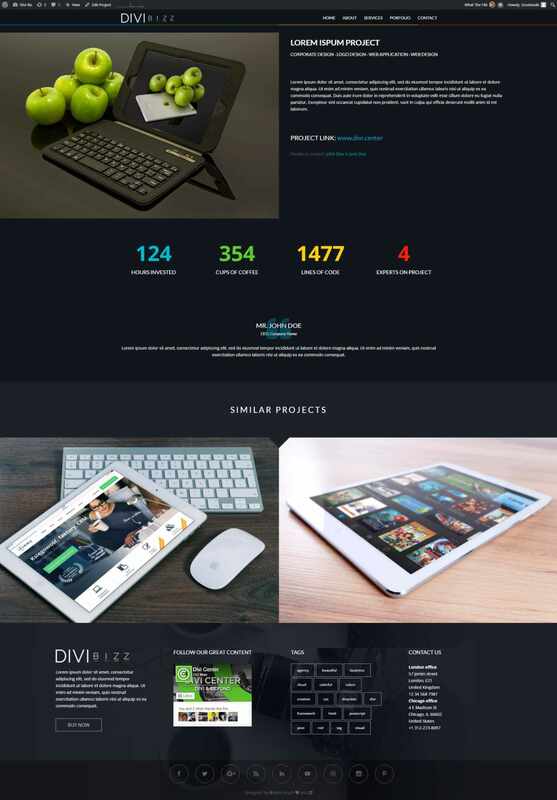 Besides the unique design that maximizes user experience and your presentation, we integrated useful plugins for Divi Bizz so the theme extends it’s functionality beyond DIVI. 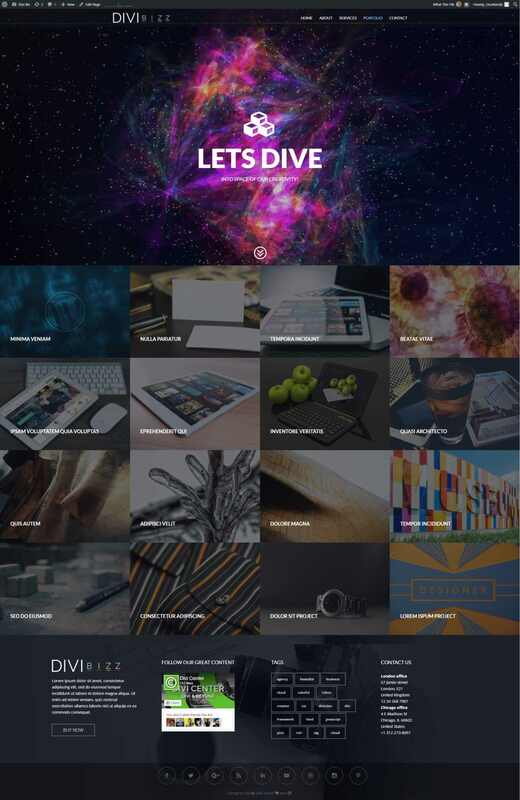 This theme is perfect for creation of websites in any creative business where you need to fully exploit and focus on the creative side of your business and portfolio presentation. We put a lot of effort into visually organizing data so everything fits into place through some totally new modules in this theme. I have a problem with the testimonial-section on the frontpage. Suddenly, the images are not displayed correctly. Can you see what goes wrong? How can I add the screen overlay on the videos like the demo? Hi, i recently bought the divi bizz child theme. I’m trying to edit the services tabs section but unconfigures. I would be grateful if you could guide me in order to solve it. That is content loading from the posts section. You can edit these tabs content as regular posts by going to wp dashboard -> posts. These posts are named tab1, tab2, tab,3 etc. You edit content inside tabs area by editing these posts with regular Divi buider. But since I made a few changes in functions.php and footer.php I was wondering what is gonna happen when You’ll update Divi Bizz? Can I have a Divi Bizz child them? a child child Divi theme?? Salut, We have contacted the developer on your behalf and they will be in touch directly. However, this would seem like a plugin conflict with maybe something else you are using. Have you tried deactivating the child theme and then activating the Jetpack plugin? I purchased this theme months ago and have had a very hard time getting support. It has been very finicky, to say the least. as you can see, before you scroll down, the navigation is gray instead of black translucent?